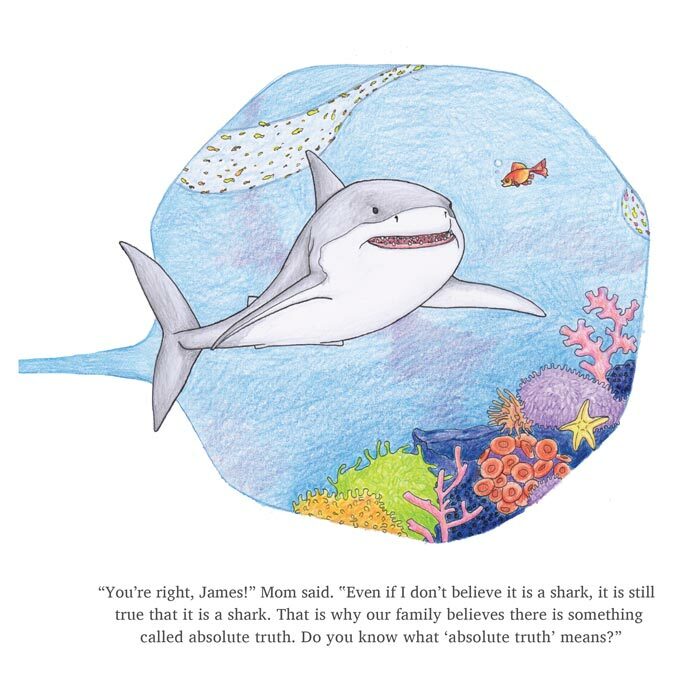 This isn’t like other children’s books; it presents a deep apologetics topic at a basic, introductory level. Before you can build a house, you need a foundation, and this book are your tool to begin doing so. Chameleon’s Can of Worms presents the case for absolute truth and demonstrates, simply, why relativism fails. There is a section for adults with further resources as well as suggested activities to help kids retain and understand the concept. Unlike a lecture, or a textbook, these stories are colorful, simple, and fun, and introduce children to important subjects with ease. They provide a great starting point for families or anyone who interacts with young elementary aged children. We wrote, illustrated, designed, and published Chameleon’s Can of Worms from start to finish after carefully seeking feedback from scholars and apologists, as well as parents and children. 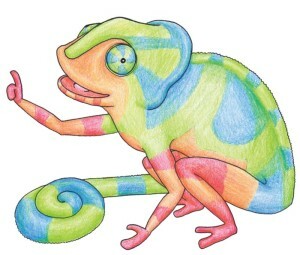 Hand drawn ink and Prismacolor pencil illustrations fill 34 full-color pages with intriguing creatures and characters. Includes a helpful parent-oriented breakdown of relativism after the story with practical suggestions for hands-on learning. Spanish translation available (as PDF download). Also available for Kindle (free with copy purchased on Amazon). A recommended children’s apologetics book by author Natasha Crain. Chameleon’s Can of Worms is available for sale on amazon.com, and has been translated into Spanish. This entry was posted in Sneak Peeks. Bookmark the permalink.